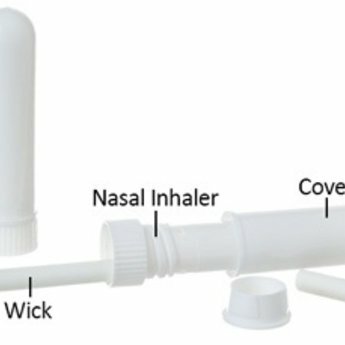 Nasal inhalers are a discrete way to inhale essential oils. Apply a few drops to the cotton wick and plug the container. When you wish to use the inhaler, simply remove the lid, put the end near your nostrils and breathe. 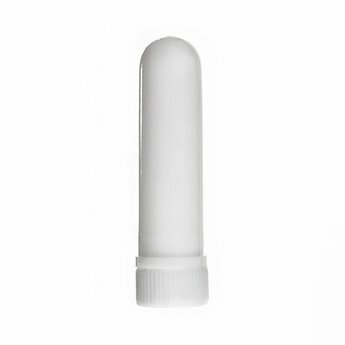 When using essential oils in crowded places, the aroma can often be off-putting to those around you but these nasal inhalers allow you to use you essential oils as much as you want without disturbing those around you. This inhaler also keeps essential oils fresh for days at a time thus allowing easy travel without having to carry bottles of essential oil with you everywhere. We recommend using a different inhaler for each essential oil. Once the oils are applied to the cotton wick, they remain there for some time.